The Northern Virginia region is known for its beautiful autumn scenery. From the suburbs of Springfield, VA to the banks of the Potomac, Virginia shows its "true colors" every fall. As we head into the fall months, the cooler winds will begin to roll in and the autumn foliage will begin to fall. The weather, at times, will be harsher than during the spring and summer months. The fall foliage that masks the roads when mixed with rainy and windy conditions has the potential to make travel extremely hazardous. For this reason, fall is the best time to consider installing winter tires on your vehicle. As consumers, we desire the latest in technology and we flaunt it when we have it. The automotive industry has made advancements in technology by installing GPS; air-conditioned seats, and iPod adapters in many of its cars. The same technology has been put into tire manufacturing. These new technological advances provide reliability in traction and handling in the worst of weather conditions. Whether it is snow, ice or rain, tires have been made to handle it. Many consumers find it hard to believe that there is any difference between winter tires and regular all-purpose tires. 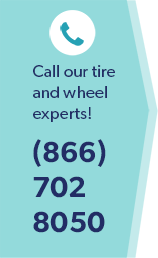 Many consumers believe that they can get by on their regular car tires. Wrong! Winter tires are made of a compound that is flexible with the cold temperatures. Basic tires lack this feature and thus can cause severe issues for drivers. The compound also provides superior traction and stopping power due to its ability to mold to the road even in the coldest temperatures. The best time to install these tires is in the fall. Many drivers believe they can wait until the first snowfall. This is not the case. Weather in the Northern Virginia region is extremely unpredictable. The last thing any driver wants to happen is to be caught in severe weather without the proper tires. It not only puts you and your family at danger but the other drivers on the road as well. Checking your tires regularly is the best way to ensure your safety. The tread on a tire should be at least 4.8 mm in order to handle wet conditions. It is important to note that general-purpose tires are only reliable for 1-2 seasons max. Winter tires have the ability of lasting anywhere from 2-3 seasons. If you do decide to change your tires, make sure that all of your tires are changed at once. Purchase the same make and model on all four tires in order to ensure safety and consistency. The staff at Wiygul Automotive Clinic is committed to providing you with the services you need.